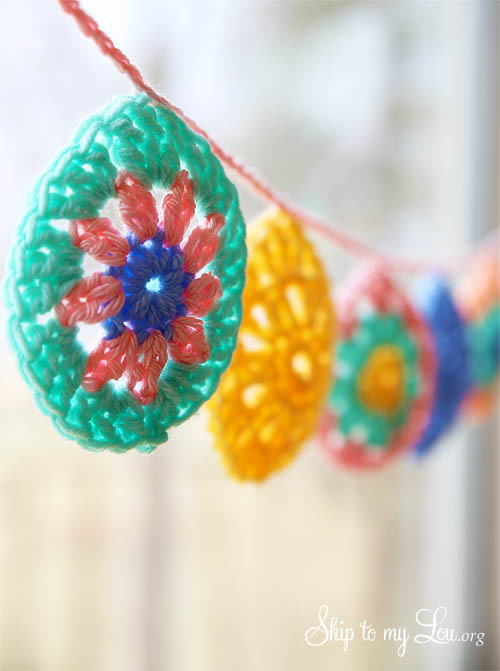 This crochet Easter egg garland is a pretty way to decorate for Easter! The colored Easter eggs work together very quickly! This is a perfect way to use up extra scraps of yarn and decorate your home at the same time! I kind of have a thing for decorated eggs. One of my most prize collections is my egg collection. You all know that I love crochet so a crochet egg is a match made in heaven! If you love to crochet please come visit my free crochet patterns data base. You will find hundreds of beautiful crochet patterns. This crochet egg can be made with worsted weight yarn and just about any size crochet hook. I typically use an H. It will really depend on what size you would like your eggs to be! This garland is the perfect decoration for an egg hunt or just to make your home festive for Easter. 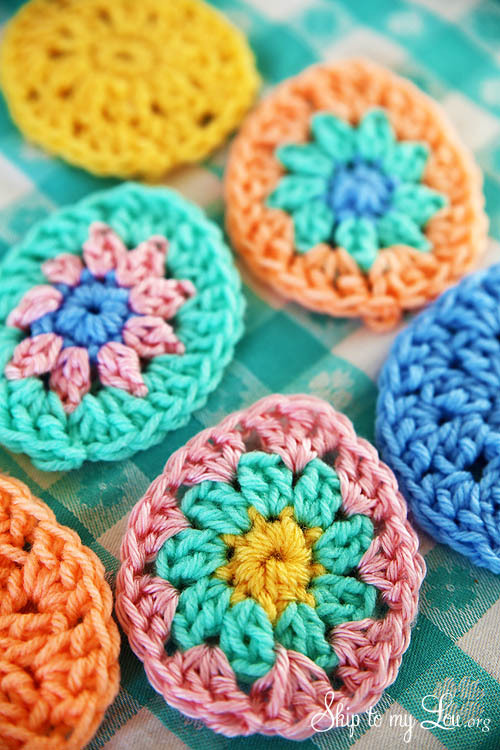 This crochet pattern is like a granny square in the round. This egg crochet pattern is an easy crochet project that can be made in minutes. You will need to know basic crochet stitches like single crochet, double crochet, and a treble crochet stitch. Make a magic ring and make 9 sc inside the ring. Join to 1st stitch with a slip stitch. Chain 3. Dc in the first stitch. (This makes the first group of 2 stitches) [ch1, 2dc in next stitch] 8 times. Chain 1. Join with slip stitch to top of ch3. There are 9 chain 1 spaces. Slip Stitch in next dc to position hook at first chain 1 space. Ch3, 2dc in 1st chain 1 space. Chain 1. [3dc, ch1] in next 3 spaces. 3Trc in next space. Chain 1. [3dc, ch1] in the remaining 4 spaces. Ch1. Join with slip st in the top of ch3. Tie off and weave in ends. Chain 50. Sc in the top of center treble crochet of an egg. Ch 12. Sc in the top of center treble crochet of the next egg. When all eggs are joined, Chain 50 and end off. 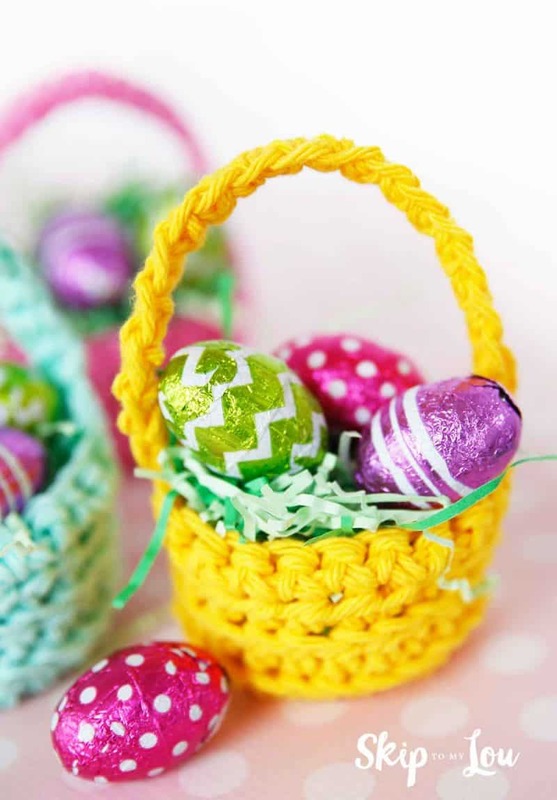 Crochet Easter Egg Baskets. They would make darling favors to set at each place setting at your Easter dinner! 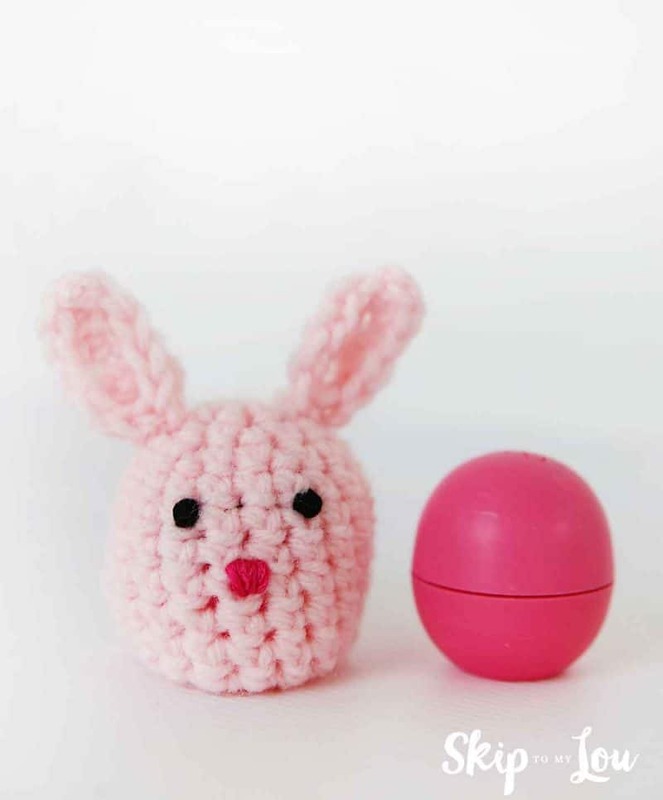 Too fun to make a crochet bunny cover for an eos lip balm. 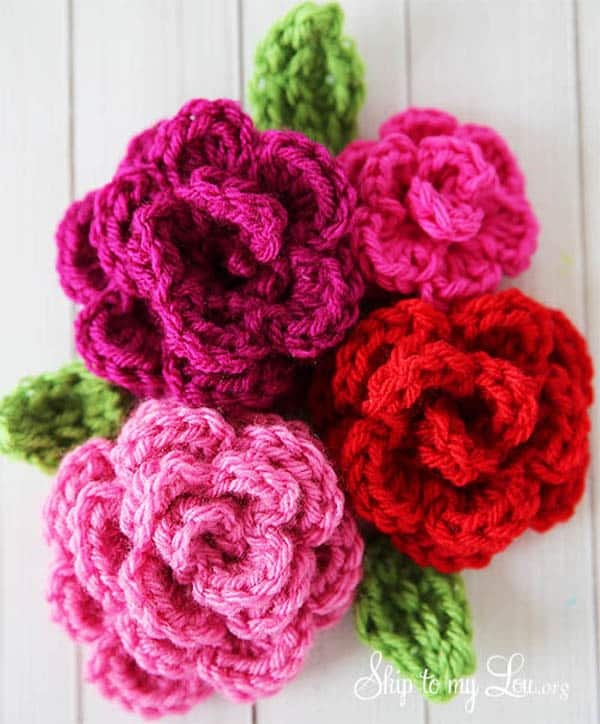 Beautiful crochet flowers are always a great decoration for Easter baskets. I would like to make a printed copy of the instructions but cannot find a print button. Did I just miss the print button ? What does it mean to "chain 10 inside of the MC" do you mean 10 SC inside of the MC? Hello Chayce, Do 10 SC inside the magic ring. Hey! I shared your adorable pattern on my blog today! Swing by, and take a peek, if you feel so inclined! Can't wait to make these beauties! I love the egg garland idea,I confused with the directions. Row 1 has me confused, are there really only 3 double crochets in that whole row? Looking at the picture I'm interpreting row 1 as the row built upon the magic circle, the second color used. HELP, I'd love to make this! Thank you! Marie, Row 1 has double crochet all the way around the magic circle. Marie, I have updated the pattern to make it easier to follow. Hope this helps! Cute ideas! Love the cute crochet! Can't wait to see all the cool ideas. I would love to see if there are some I can incorporate into my business or for my customers. Love the eggs! I am very new to crochet. Any chance you would do a quick video? Thanks for considering!